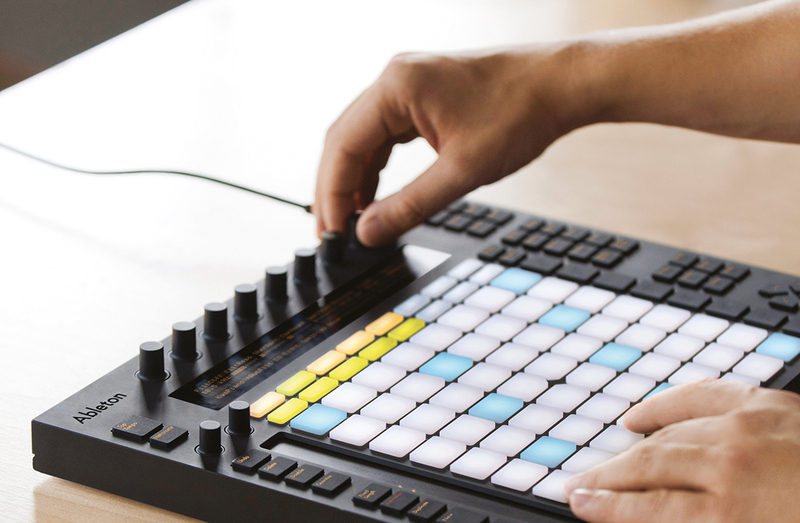 Now, Ableton is doing its own hardware. 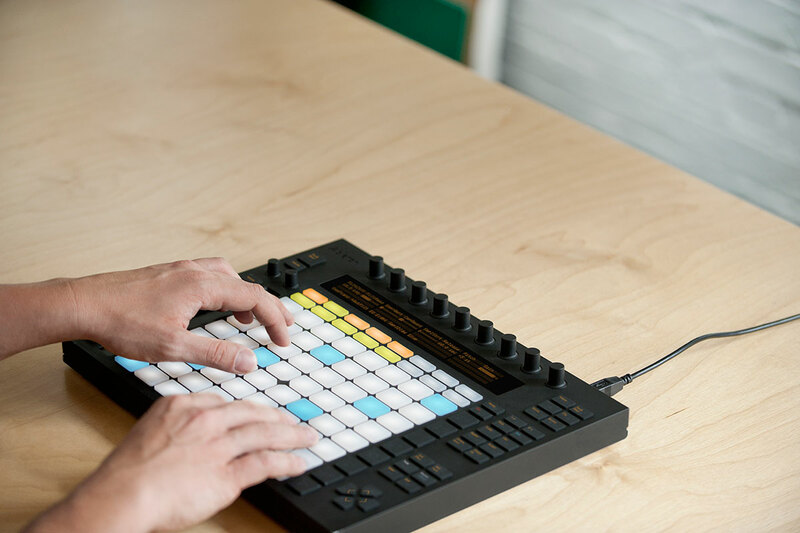 Sure, Ableton’s logo was on the Akai APC40 and Novation Launchpad, and yes, “engineering by Akai” is stamped on the Push. But make no mistake: this is really the first Ableton hardware, and it shows. 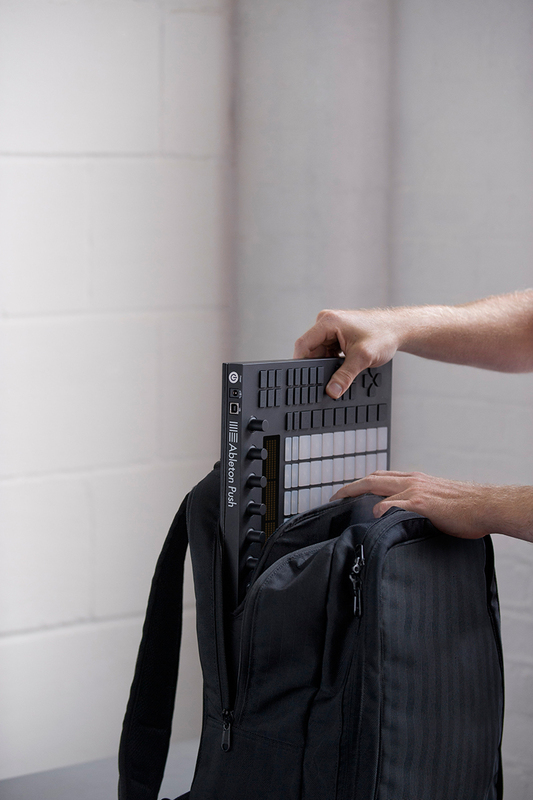 Push is a grid controller with extra keys and encoders for navigating features. It shows the influence of devices like the monome (and divides up that grid like the Pages and 7up patches from the community). But it also includes controller features that are specifically integrated with Live, recalling custom controllers used by Monolake. 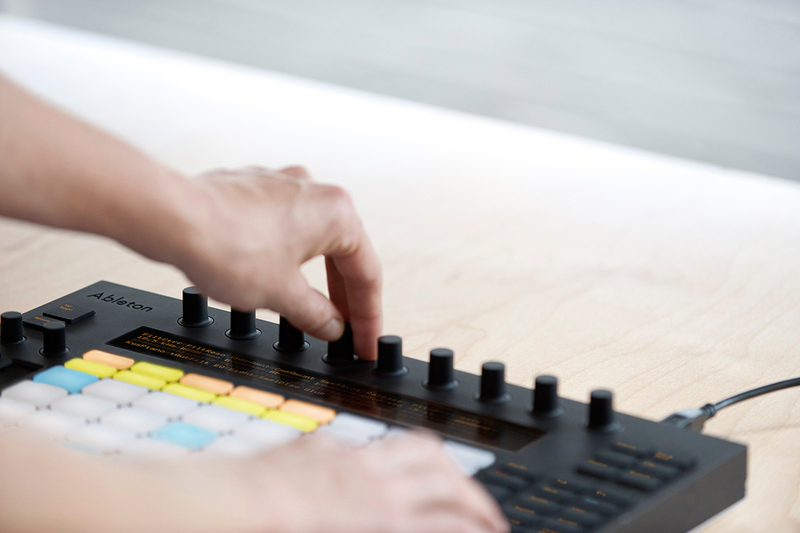 As with Live 9, I got to spend some time playing Push and talking to the developers who worked on it last week at an event with other press, partners, and artists at Ableton’s offices. The hardware is near-final, but software is still in development, so some features are subject to change. The pads sense velocity and pressure – no more grids limited to on/off only. A ribbon controller along the side adds additional control and expression. You get 64 velocity-and pressure-sensitive multi-colored pads, plus eleven touch-sensitive endless encoders. As an “instrument,” Push maps to an isomorphic pitch layout. It’s I think the first time we’ve seen such a layout in mainstream, non-niche hardware (unless you count iPad apps). That makes the grid map usefully to different keys and harmonic structures, and it’s there by default – no extra work needed. In a feature I hope survives from the prototype to the final version, there’s even feedback on equivalent pitches as you play. The advantage of isomorphic layouts is, once you learn a pattern, transposition is easy, and chords and harmonies are generally easier to find. (A guitar, for instance, is actually isomorphic; a piano is not. I like pianos, and you can learn to transpose on them, but for learning a new instrument, this is an ideal choice.) At the Ableton demo last week, we got to see “Giant Steps” played in all keys. And, of course, you get all of this with pressure, mapped to aftertouch. If you can accommodate the grid layout, that could make Push a really expressive instrumental controller, particularly with the ribbon controller. The challenge may be fatigue playing pads; some velocity sensitivity adjustment will be necessary. But the pads felt good even on a prototype unit. Yes, they’re Akai-built pads. A look at the isomorphic pitch layout, with blue lights indicating equivalent pitches. As a “controller,” Push does all the business with clips you’d expect. What seemed impressive in early demos was how tightly it could integrate with the production workflow. You can quickly drop into recording a clip or overdub settings, adding to a track as you go. There are various clever features. For instance, since the color scheme could be potentially confusing, lights pulse to show active clips for playback and recording. A display shows you the remaining time in clips. And crucially, you can navigate Live, and select clips without launching them. The APC and Launchpad for me never quite got to the stage where I could hide the computer and still use Live; it looks like Push just might. We’ll look closer soon at how these mappings work, but there were already impressive examples in which Push was running step sequencers, triggering and recording clips, and playing instrumental solos, all right out of the box – no fancy Max for Live patching required. If fancy Max for Live patching is what you want, you can do that, too. You can “hijack” everything Push does as far as Live control and customize it, with complete control over the hardware and the way the software responds. 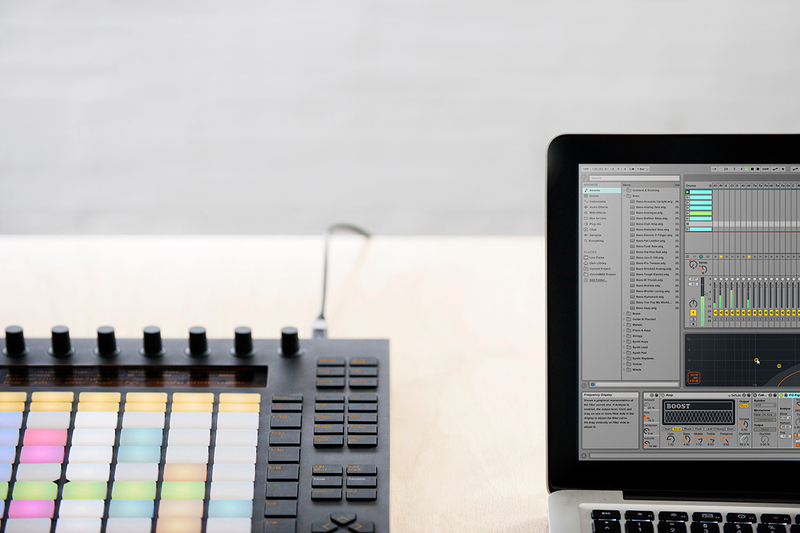 There’s also a “user” mode, as with Launchpad, which you can assign to your own tools (like a plug-in, for instance), then switch between them. Right now, you can’t use more than one Push in controller mode, though you could presumably set the second to “user” mode and map it separately. Weight: 2990g / 6.59 pounds. 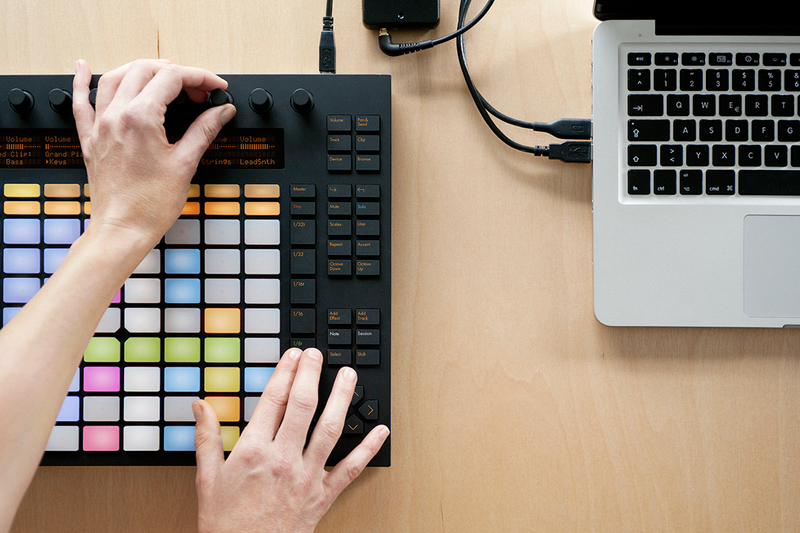 Cost: USD 599 / EUR 499, including Ableton Live 9 Intro. No one controller can suit everyone, but I have to say, Push looks like it makes a reasonable set of compromises. Fortuantely, there’s nothing stopping hackers from doing their own, similar controls in Live 9 if they desire. But for those who do want something off the shelf, Push is a big leap forward. We’ll be testing it as it becomes available, and then can look more closely at how mappings work. 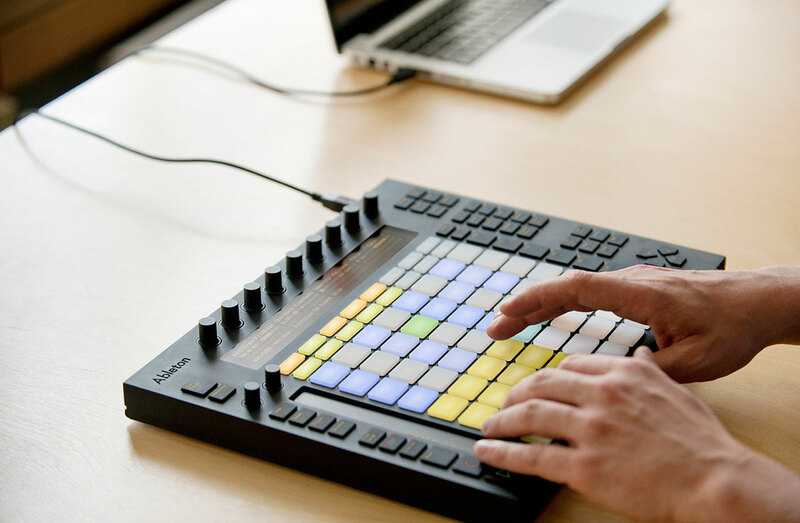 As with Launchpad and APC, there’s a logical mapping of Session View to the controller. (Arrange View is actually not really a focus.) Unlike the past hardware efforts, though, you have enough controls on the device that you should be able to hide your laptop away and still make music or perform.